R&D at RB is truly unique. But not enough people know about it. So RB set the Virgo Consumer Health & Wellbeing team a challenge with a serious ambition. The R&D team wanted us to help them inspire the world by showing how they could tackle a meaningful health challenge. Reflecting on RB’s R&D identity and purpose to deliver innovative solutions for healthier lives and happier homes, we decided to tackle the world’s largest environmental health risk – air pollution – in an innovation challenge like no other. We chose a high profile healthcare setting that would attract the attention of the industry’s finest R&D and creative minds, and created a dramatic event to engage the media and make the worldwide RB community feel proud and excited about innovation in action. Partnering RB with Lions Health and Save the Children, we created the first ever RB Innovation Hack. Over two days in June 2016, the live 24-hour hackathon brought together RB’s R&D and marketing experts with creative and entrepreneurial minds from other leading organisations around the world. They formed three teams. Their mission: to pioneer blockbuster innovations that could protect children’s lungs from the devastating effects of air pollution exposure in India, where levels are among the highest in the world. We kicked off with a meet and greet session, led an inspiring creative workshop, and then set the teams to work. 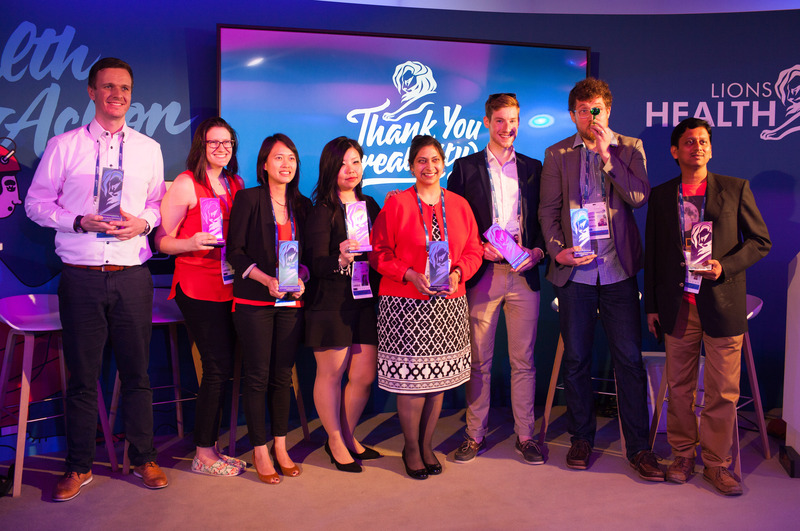 They presented their revolutionary ideas to a high profile judging panel and a packed audience at the Cannes Lions festival. The multi-disciplinary teams came up with some astonishingly innovative ideas. The runners up were a paint that is applied to building walls and buses to remove particulate matter and improve air quality and a baby pacifier with a built in filter to minimise the inhalation of pollutants. The jury’s vote however went to a musical instrument that could strengthen children’s lungs by introducing them to a new, healthy habit, with its campaign call for “The Sound of Healthy Lungs”. Back in their global centres for excellence, RB’s R&D team is now exploring the potential to take “The sound of healthy lungs” to market to improve the lung health of the next generation.